Macy’s, the American department store chain, is continuing with “The Magic of Macy’s” campaign with TV ads featuring high-profile fashion and home designers getting ready for the holiday season. 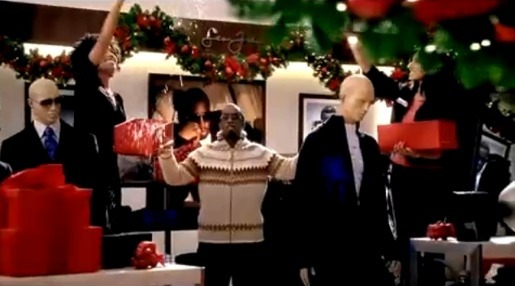 “Morning” captures the store’s superstar design talent as they decorate their “departments”, The cast of designers includes Sean (Diddy) Combs, Jessica Simpson, Martha Stewart, Usher, Donald Trump, Kenneth Cole, Marc Ecko, Kimora Lee Simmons, Russell Simmons and Tommy Hilfiger. Macy’s Culinary Council chef Tyler Florence and celebrity chef Emeril Lagasse also appear in the spots. “Evening” reprises the celebrity staff decorating their “departments” for the busy holiday rush. Tchaichovsky’s Dance of the Sugar Plum Fairy provides a subtle link to the Nutcracker Suite ballet. The designers have just one night to get the store decorated for the important and magical holiday season. The Magic of Macy’s campaign was developed at JWT New York in collaboration with Macy’s Corporate Marketing by chief creative officer Ty Montague, executive creative director Jeremy Postaer, creative director/art director Damian Totman, creative director/copywriter Matt MacDonald, director of production Darcey Cherubini, executive producers Randy Shreve and Nancy Vines, associate producer Kate Schwerin. Filming was shot by director Barry Levinson via Saville Productions, Los Angeles, with director of photography Robert Richardson, executive producer Rupert Maconick and film line producer Shannon Lords. Filming was edited by Jay Rabinowitz and Steve Hamilton via Mad Mad Judy, New York. Sound was designed by Steve Hamilton at Mad Mad Judy and mixed by Glen Landrum via Sound Lounge, New York.